Service will be suspended between two stops for several hours Saturday. CHICAGO — Green Line riders might want to find another mode of transportation Saturday morning. 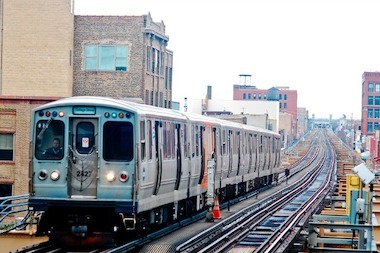 Due to ongoing construction of the Cermak-McCormick Place station, Green Line "L" trains won't run between the Roosevelt and 35th-Bronzeville-IIT stations from 1:40-11:40 a.m. Saturday, according to a CTA news release. Chicago Marathon runners needn't worry, though, as the line will operate normally Sunday. Those who happen to be traveling during the suspension Saturday can hop on a free shuttle bus between the two stations. There are free transfers, too. Service will also likely be suspended between the same stops from 1:40-11:40 a.m. on both Oct. 25 and 26.